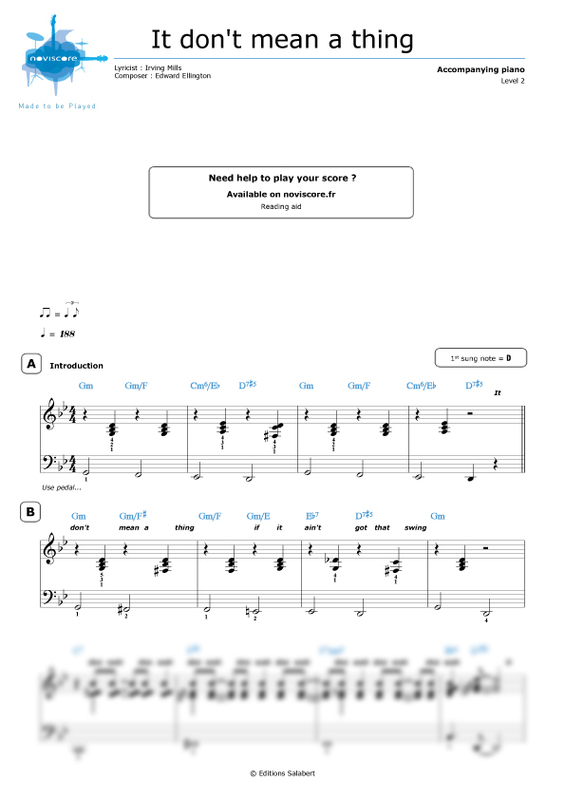 Want to play some jazz piano ? 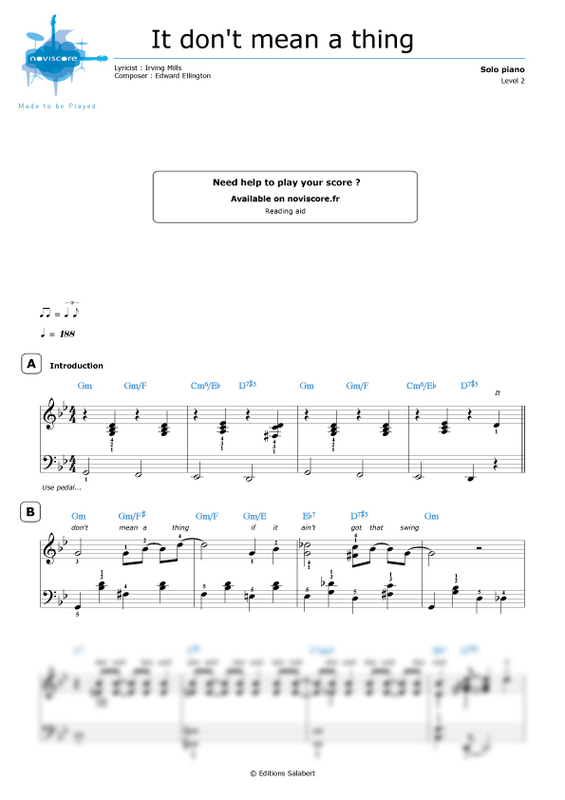 Discover our It Don't Mean a Thing (If It Ain't Got That Swing) piano sheet music This jazz standard composed by Duke Ellington with lyrics by Irving Mills has been adapted for you in three different versions for piano solo. 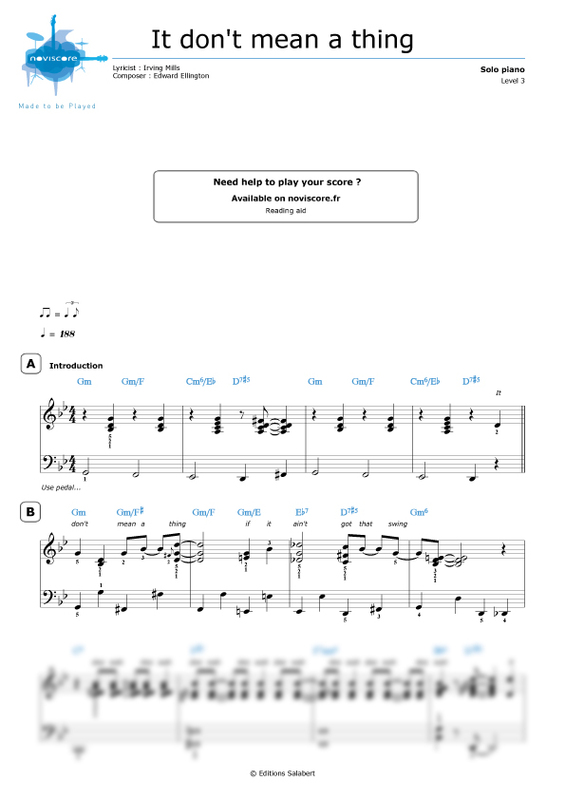 If you would rather sing along, then choose our version for piano accompaniment which has been specifically designed to accompany a singer or another instrument. 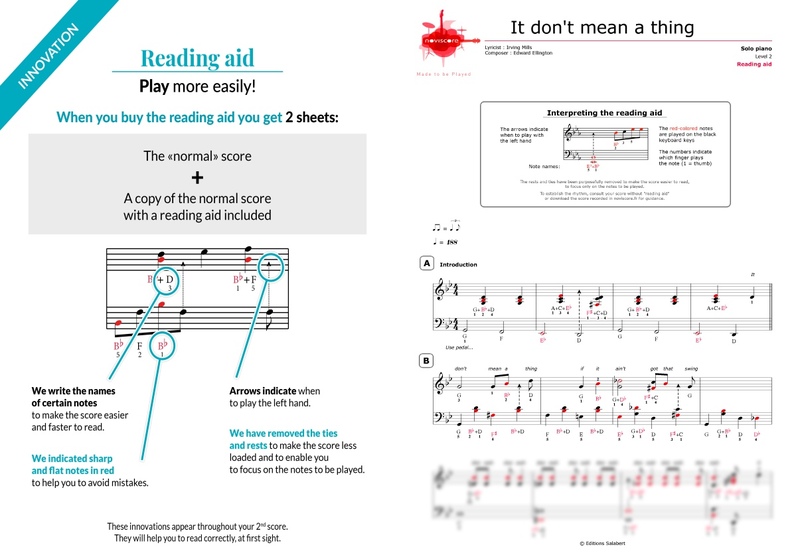 Whether you are a beginner or an accomplished pianist , we are sure you will find the right sheet music for your skill level. 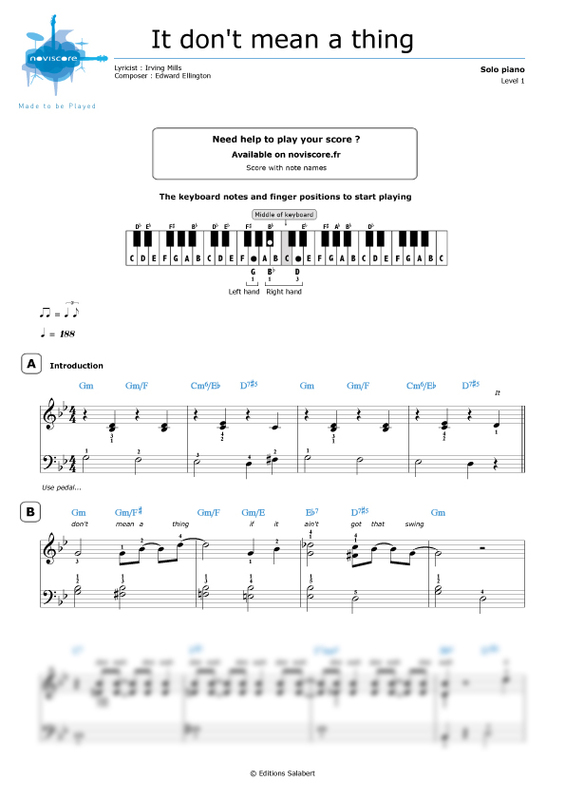 If you are just beginning piano lessons and have trouble reading music, then don't forget our It Don't Mean a Thing easy piano music with note names instead of symbols. 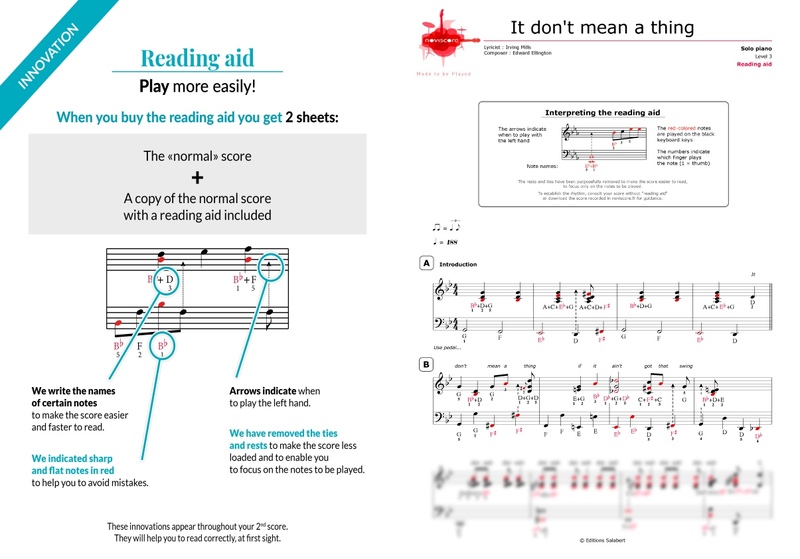 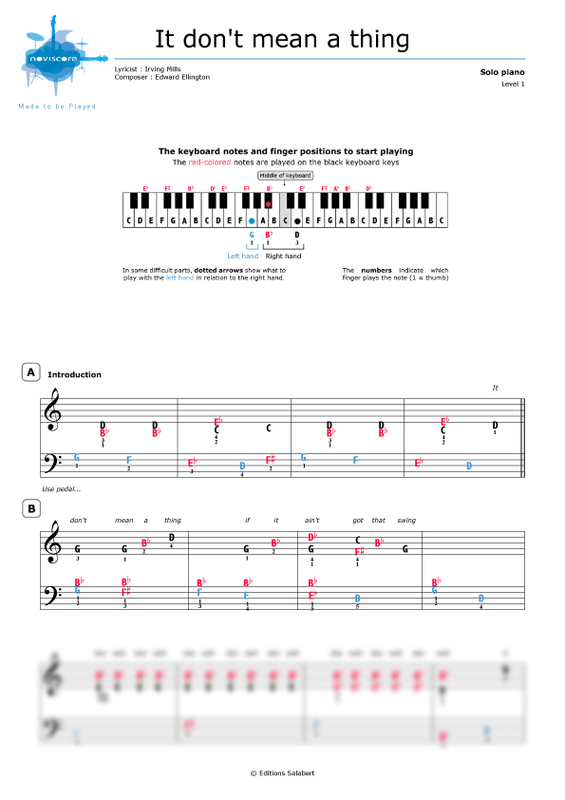 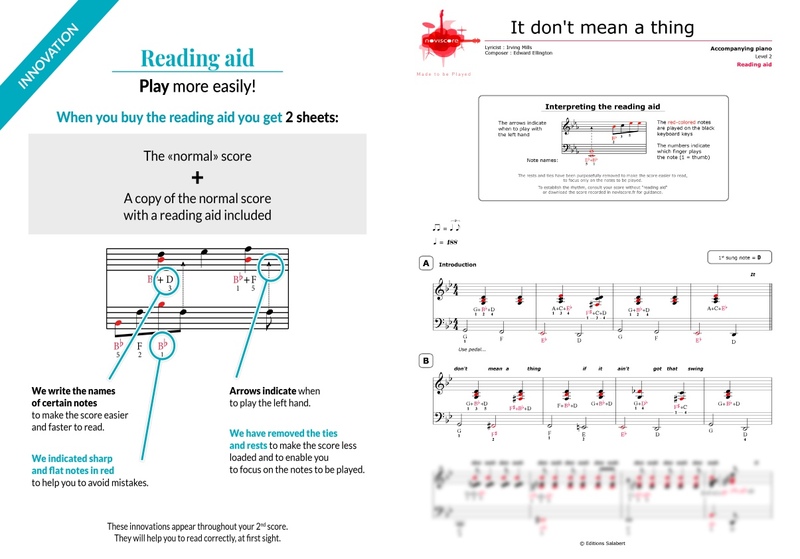 Select your skill level and print your music sheets from home. 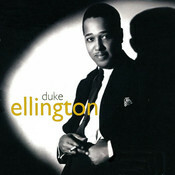 Duke Ellington's 1932 recording of the song with his orchestra and sung by Ivie Anderson was inducted to the Grammy Hall of Fame in 2008.